Lots of Lops Rabbitry, or, LOL Rabbitry, is located in California. We breed quality show Holland Lops with both type and color. 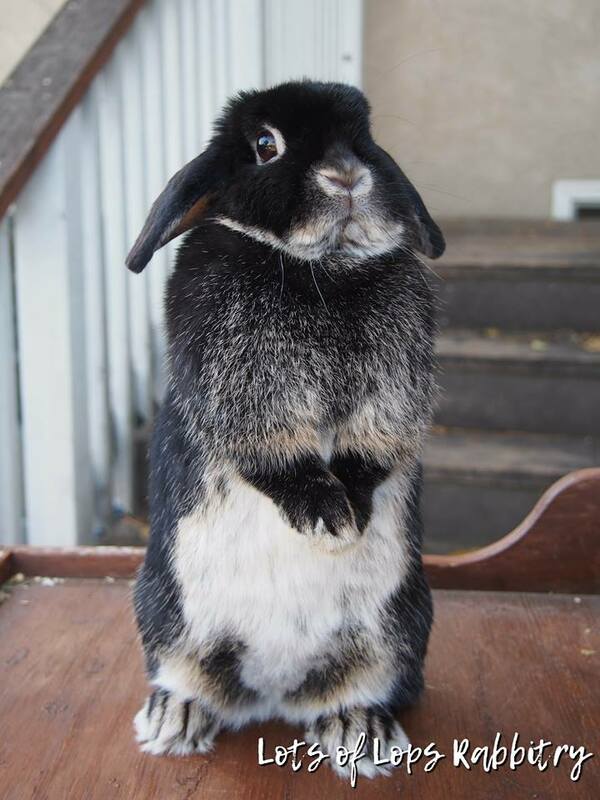 I have owned Holland Lops since December 2005, when I got my first Holland Lop, a doe named "Gorgeous". Ever since then, I've been completely hooked on the breed! I started showing through 4-H in 2009, bred my first litter in early 2015, and started my rabbitry in late 2017 after over two years of research. Lots of Lops Rabbitry is registered with ARBA, and I am a member of ARBA, HLRSC, and 4-H. My otter foundation stock is from Diegel Rabbitry, and my tort foundation stock is primarily from Gard's and Brocks Fallen Ear's lines. By working with these high quality lines, we strive to create the ideal Holland Lop rabbit as described in the ARBA Standard of Perfection. I am extremely picky about which rabbits are used in my rabbitry and do not keep any subpar rabbits just because of their color. I do not believe in breeding colored Hollands just for the sake of having a colorful rabbit. Rather, I believe in breeding for a rabbit with excellent Holland Lop type, with color never being the number 1 priority. I breed otters, torts, and selfs, but focus primarily on black otters, blue otters, and, of course, torts. My ultimate goal is to raise the quality of my otters to the same standard of quality as torts currently hold. My rabbits are additionally bred for a good temperament - having a rabbit with a sweet disposition is always a delight! We do not use rabbits with aggressive, territorial, or otherwise difficult temperaments, nor do we breed any genetically unsound animals or ones with poor mothering instincts. We believe that those traits are detrimental to the breed, so we do not use them in our breeding program, no matter how good the conformation of the rabbit is. We value traits such as high fertility and excellent mothering instincts, and are fortunate to have rabbits that are excellent breeders and mothers.